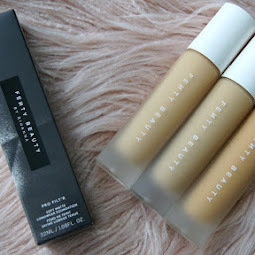 Following my last Illamasqua post about the new ImPerfection collection, I thought I'd swatch and review some of the products after having a little play. 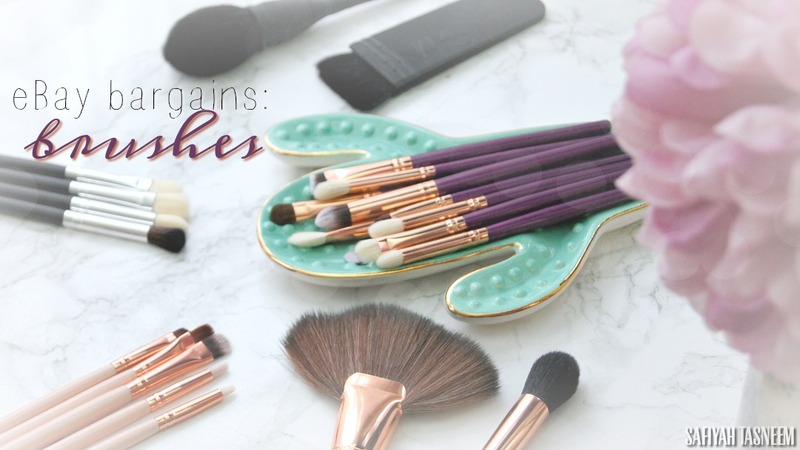 The Blush Up Brush is an amazing innovative new oval brush shape that I absolutely adore and have been using everyday since I got it at the launch. Packaging: The packaging is sturdy and definitely of high quality; the concentration of the brush hairs makes it perfect to add angled contours to the hollows of the cheeks whilst the brush bristles are surprisingly soft for such short hairs and diffuse and blend the product upwards beautifully. Price: The Blush Up brush is priced at £28.50 but I guarantee it is worth every penny for contour lovers and makeup artists; it makes slimming the face and contouring such a doddle! 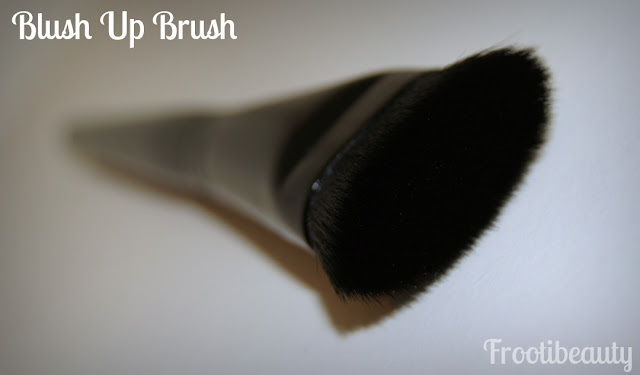 FrootiFactor: I'd give this brush a 6 out of 5 if I could, so it definitely gets my full score of 5! 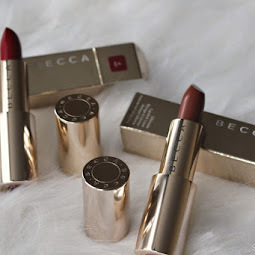 In the ImPerfection collection 3 Blush Duos were released; Lover & Hussy were actually released earlier towards the end of 2012 as a preview and were received with a great response. Colour & Pigmentation: Lover is a matte pastel-apricot shade, whilst Hussy is a matte pastel-pink shade. I actually already own Hussy and have loved using it; despite it's pastel-ness it looks pretty awesome on my NC35 skin tone. They can of course be worn together to create a coral colour. 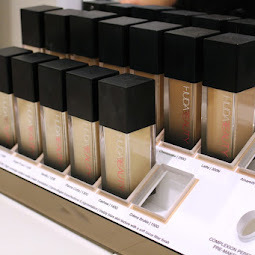 Pigmentation-wise, they're super pigmented! Longevity: Being a powder blush, I find they last a lot longer than creme/liquid forms. Price: At £26 it works out £13 per shade; considering I don't tend to use just one blush (or have hit the pan on any yet!) this works out better than me spending £18 on just one blush. 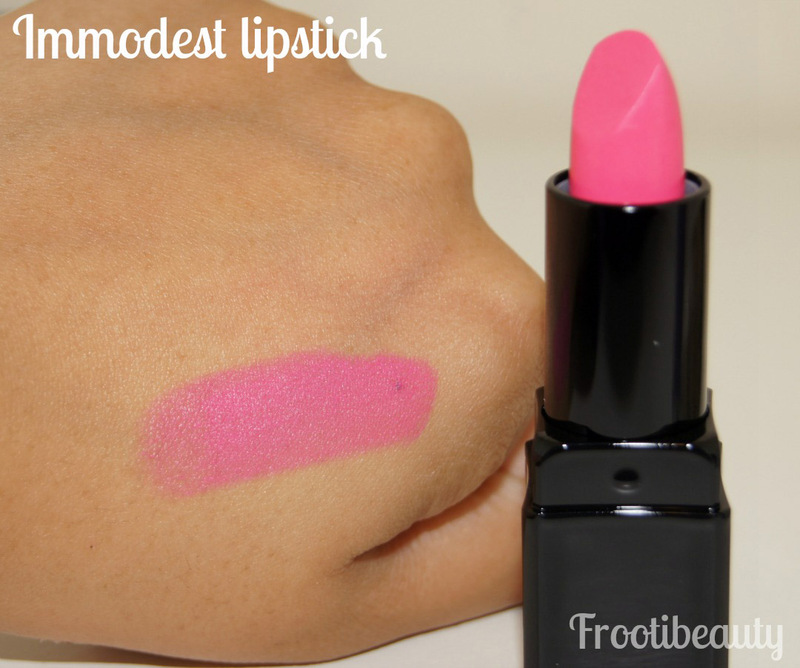 Immodest is the only lipstick in the ImPerfection collection (so far) and is a pretty, vivid pink shade. Colour & Pigmentation: Immodest is a vivid blue-toned pink and although it looks more yellow toned in the packaging. I was worried about it not suiting my skin tone as it's lighter than the usual colour I wear but it surprisingly didn't look too bad. Very close to MAC Viva Glam Nicki (first one). Definitely pigmented. Texture: Texture-wise the lippy is dry as it's a matte lipstick. A bit of lip balm or Vaseline underneath makes the lippie more wearable, particularly Carmex moisture plus in Pink. Longevity: It lasts a long time as it stains! 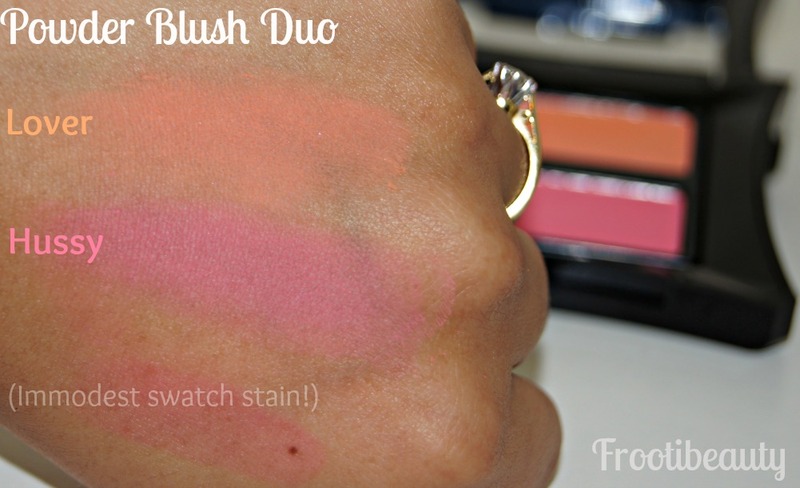 I swatched it on my hand and lips and the stain remained on the hand after wiping (see below). Price: At £16 it's a tad bit more expensive than your regular lipstick, but as always you know you're getting great pigmentation and longevity with Illamasqua, so it's a matter of what you find more important! 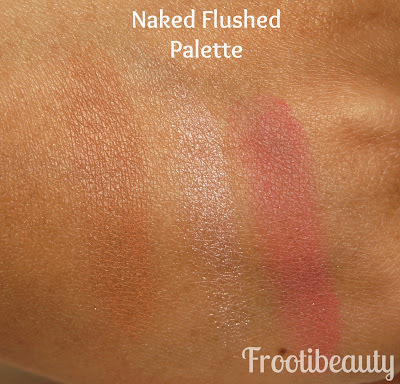 FrootiFactor: I'd give this product a 3.5 out of 5 as I'm not too sure about the shade of pink on my skin tone! Still, it would suit lighter skin tones than my own beautifully. These limited edition speckled nail polishes come in 5 shades: Speckle (neutral/brown), Freckle (lilac), Mottle (pastel/mint green), Fragile (pastel blue) and Scarce (light pink). 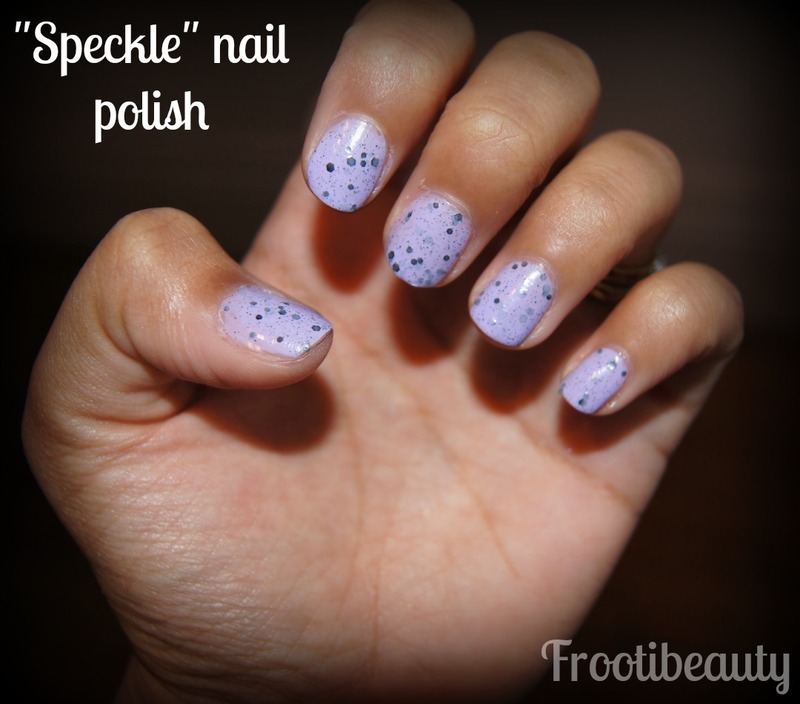 Colour & Pigmentation: Both Freckle and Speckle are pigmented and have even amounts of "speckle". Bigger "speckle" bits of black glitter make up the full effect. I have to say I prefer Freckle as Speckle clashes too much with my skin tone. I think it would look better with lighter or darker skintones than my own. 2 coats needed max for full effect. Longevity: The polish lasts a long time particularly as it has the glitter bits in them, but is a pain to take off like normal glitter polish. Price: Priced at £14.50 each, the polishes are slightly pricey but they're a gorgeous new concept and remind me of Cadbury's Mini Eggs - yummy! FrootiFactor: I'd give the polishes a 4 out of 5 as they are well thought out and perfect for Spring/Easter. The full ImPerfection range is available at the Illamasqua site and Debenhams as well as selected counters. Do you like the products from the new collection? Which are your faves? Following my last post about the two new Oz palettes, I thought I'd do a review on the Theodora and Naked Flushed palettes. 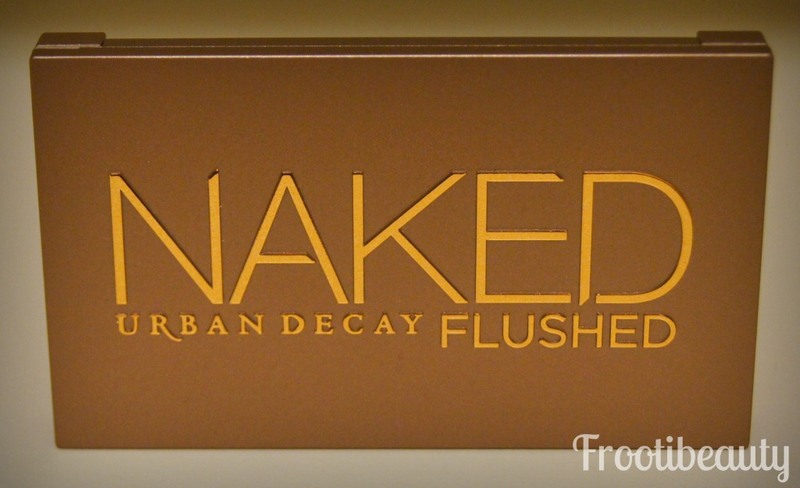 In all my excitement for the new Oz palettes, I almost forgot that the Flushed palette was being released too. Luckily for me I managed to get my hands on one before it was released and I have to say it doesn't disappoint! Continuing the theme of the "Naked" range, the Flushed palette consists of a bronzer and blush separated by a shimmery highlight. The bronzer reminds me of my favourite bronzer by UD (Toasted) but seems more sheer to wear; great for lighter complexions! It's on the orangey-brown side though so really fair complexions should probably use with a much lighter hand. 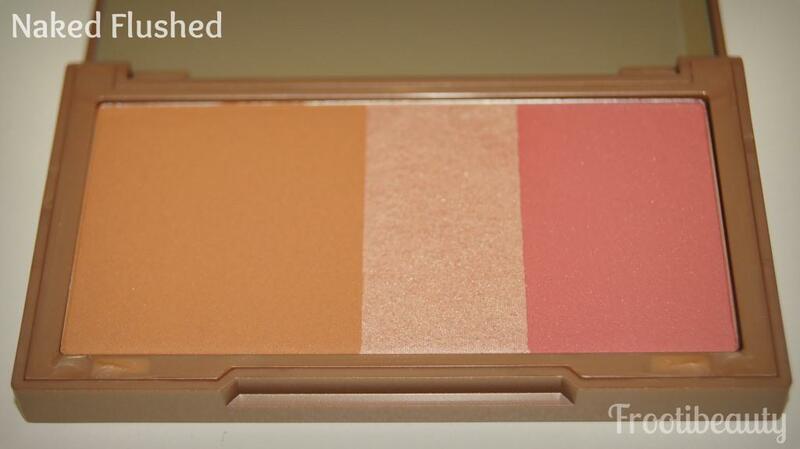 The blush is more of a rose-colour but has the tiniest hint of coral; or mixed with the bronzer, the coral is more prominent. It's more pigmented than the bronzer. The highlight is gorgeous, but super pigmented so I'd use it very lightly, I'm pretty sure it's the colour Sin (eyeshadow/eye primer) but in a highlighting format. Either way, I've used Sin as a highlighting colour on most complexions and find it works beautifully. The current Urban Decay bronzers are priced at £20 each and the cream blushers and cream highlighter in Sin are both £18 each, so a palette that holds all three products in one is pretty nifty rather than reaching for 3 different products, or handy for travelling. The Flushed palette is available at Debenhams and House of Fraser stores as well as their online counterparts, but also at HQhair.com and LookFantastic. The palette comes with 5 full sized eye shadows (RRP £14 each) as opposed to the smaller sized eyeshadows that come in other ready made palettes. 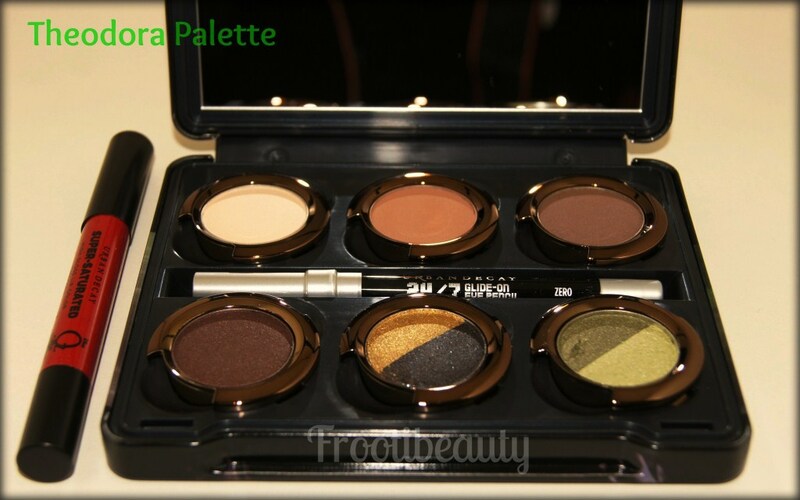 The difference with these are that they're mostly new eyeshadow colours, with magical names and also two 2-in-1 shadows that cannot be bought singularly. The SSLC is F-Bomb but named Theodora with the Oz logo (I swatched both F-Bomb and "Theodora" below to make sure!). As you can see, the most pigmented are the gold colour from the Spell duo and West. The shadow that looks like its the least pigmented is Bewitch. 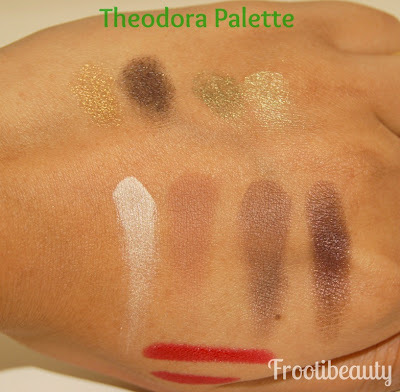 As with all palettes/sets, they work out better value for money; the Theodora palette alone is worth around £105 in total - £14 x6 eyeshadows, £14 for a full size SSLC and around £7 for half a normal sized eye pencil (usually £14). FrootiFactor: I'd give it a 4 out of 5 as I always love a limited edition palette, think it's great value for money when you think about how much each individual product costs and also the fact that the quality is pretty much still the same! The palette is priced at £35 and available from Debenhams and House of Fraser online and in stores. 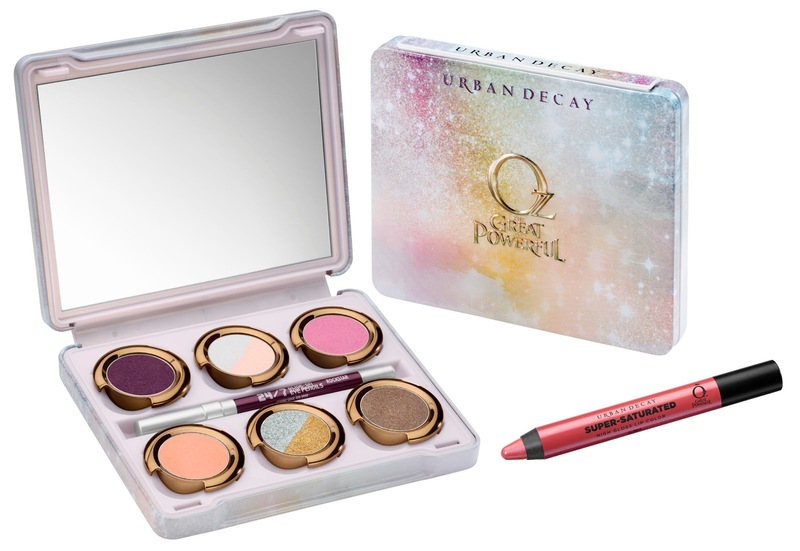 Just a quick post about the new Urban Decay palettes that are inspired by the new Disney "Oz The Great And Powerful" movie (which I must say I'm very excited about and totally want to see!). The last time Urban Decay collaborated with Disney was to produce the Alice in Wonderland Book of Shadows which sold out like crazy (and that I luckily managed to get!). 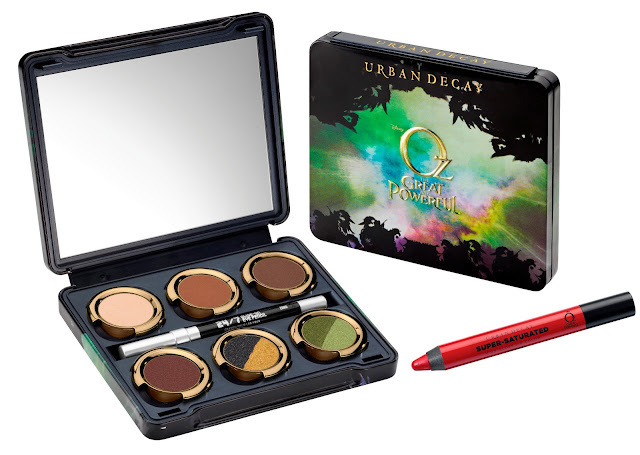 There are two palettes in the Oz collection - Glinda & Theodora aka good witch vs bad witch. Rockstar 24/7 eye pencil and Glinda SSLC which I'm guessing is either Lovechild or Naked from the existing range of SSLCs. Zero 24/7 eye pencil and Theodora SSLC which looks like it's the existing F-Bomb SSLC. Out of the two palettes I'm veering more towards the Theodora palette as I love my dramatic smokey looks and the colours look right up my alley! Both palettes are priced at £35 each and are currently exclusively being sold at Debenhams, but will be released in House of Fraser this Sunday (3rd February). 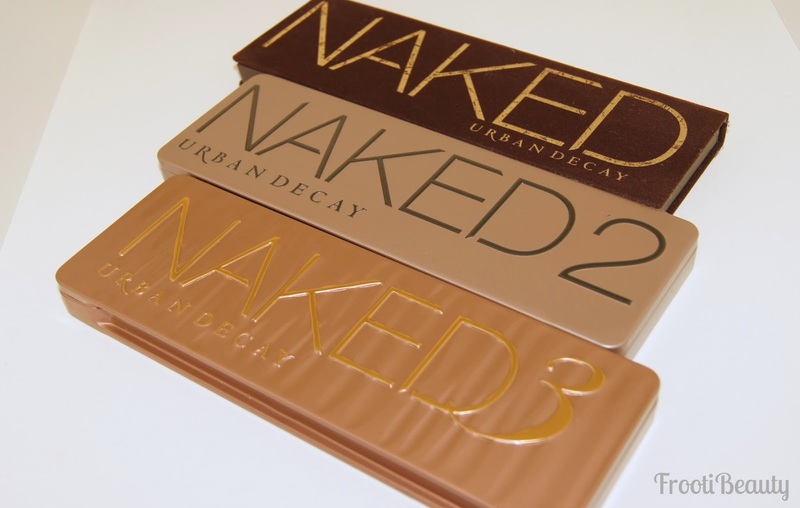 Will you be buying any of these limited edition palettes? Which one catches your eye?